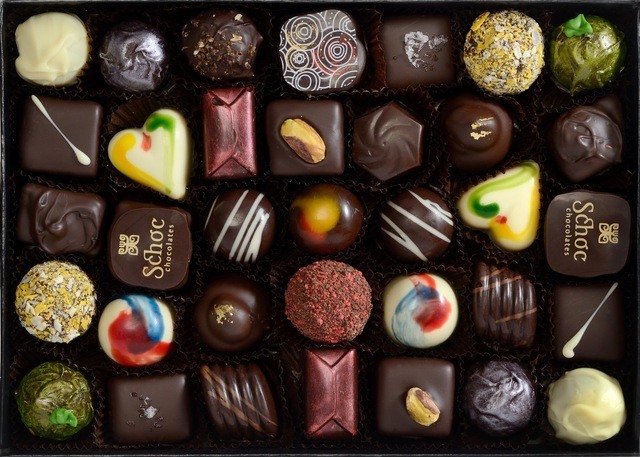 With over 85 flavours of chocolate, Schoc Chocolates creates beautiful, hand-crafted tablets all in the stylish shopping village of Greytown. Fairly sourced beans from all over the world come together to create the most delicious, rich and smooth chocolate in a flavour for everyone. Schoc Chocolates comes complete with chocologist, Murray Langham. Murray is passionate about chocolate and psychology and has combined the two to create a beautiful blend of understanding that comes about by simply picking your favourite chocolate! Passion that melts in your mouth and stays in your mind. Taste the difference, challenge your senses, explore your personality though chocology.